Korematsu v. the United States. ABDO Publishing, 2013. 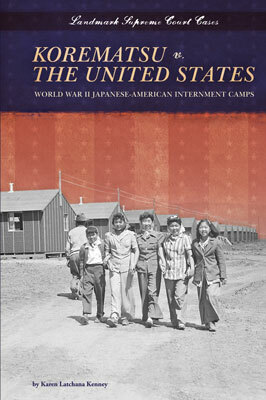 This book is about the history-making U.S. Supreme Court case of Korematsu v. the United States. It provides a history of Fred T. Korematsu, the events leading up to the U.S. involvement in World War II, the treatment of Japanese-Americans during the war, and the Korematsu case which challenged the legality of the internment.